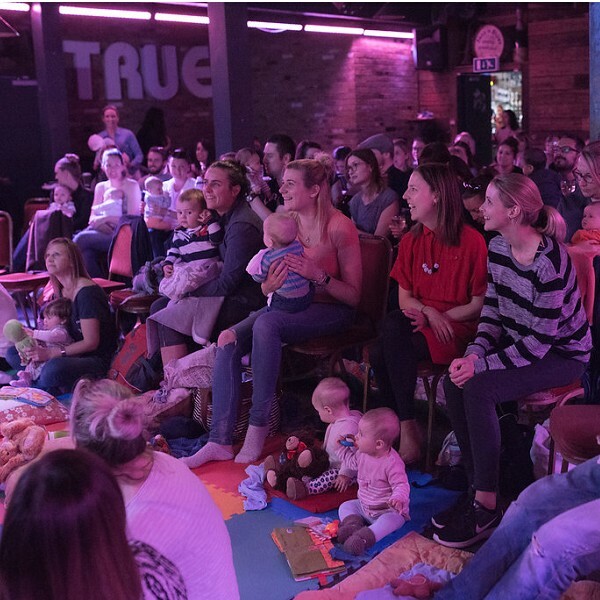 We are the UK’s number one baby-friendly comedy club…and we are coming to South Woodford! Having a baby no longer means saying good-bye to enjoying the best live comedy stars from the circuit and TV. We are pleased to be teaming up with The Redbridge Drama Centre to give the mums and dads of South Woodford the chance to come and enjoy the best comedians around (and maybe a cheeky G&T)…without worrying about childcare! Our shows are something totally new and different. As well as being an awesome night out during the day, we also have soft flooring, toys and more for baby…and plenty of buggy parking, baby changing and helping hands to make everyone’s day out easy and worry-free. Bring Your Own Baby was conceived by best friends and professional comedians Carly Smallman and Alyssa Kyria. After new mum Alyssa suffered with post-natal depression after the birth of her daughter, these two ladies decided to help other local parents by starting a day-time comedy club in the function room above their local pub. The shows were so popular that they now host them at venues across London, the Home Counties, the South West, Midlands, and are now very excited to be bringing the funnies to South Woodford. Please note, our brilliant comics will be performing their usual adult material, which is why we have a 12 month age limit for our little laughers. Babies go free! Your adult ticket includes entry for your baby! * There is no guarantee that we will have any tickets on the door as these events sell out quickly. Please book beforehand to secure your seat!